I realized recently that alot of my friends and family have birthdays coming up soon. I’ve always liked making custom cards for special occassions and I hadn’t really been taking the time to do so lately. Therefore I whipped up a couple of cards (there are probably more to come). Here’s the first one called “Happy Birdday”. Story: These birds aren’t very clever, they’re also a bit self-centered. 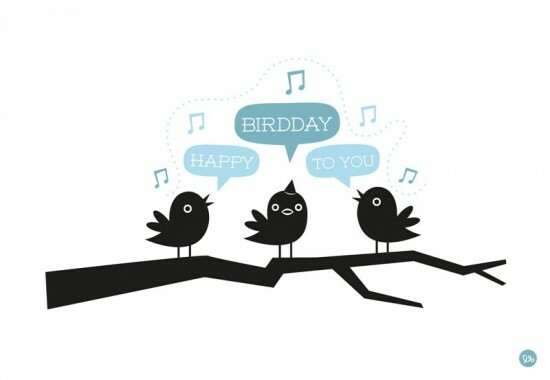 They think the song goes “Happy Birdday” and they think it’s pretty awesome that people have birddays once a year.